There are few things that are more pleasurable in life than delicious food. The passion for cooking, preparing a delicious recipe or baking a tasty treat has a lot to do with the design of a kitchen. Your cooking area needs to be inspiring after all! This is why today on homify, we have put together an article that shows you a dozen gorgeous kitchens, where rustic style is the main ingredient. 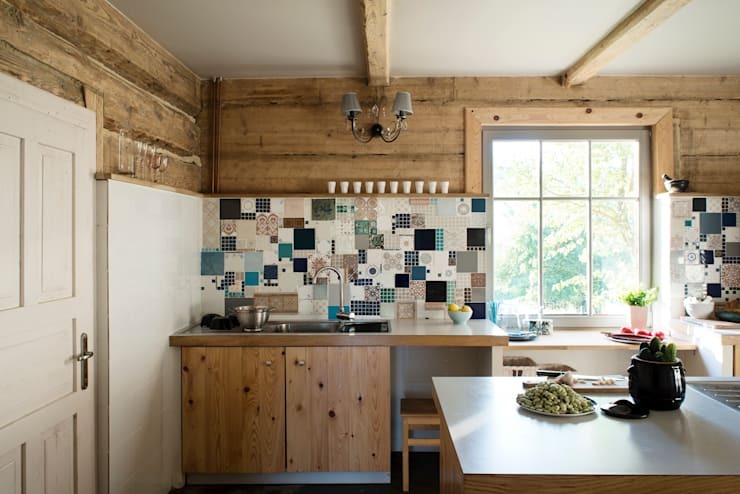 Wood, rustic tiles, imitation stone or cement bathed in light tones can all contribute to a very stylish rustic kitchen. Natural light plays just as much of a role. Whether you have a country-style house or a cosmopolitan apartment in the city, these are all styles that could work for your home. Shall we take a look at the menu? 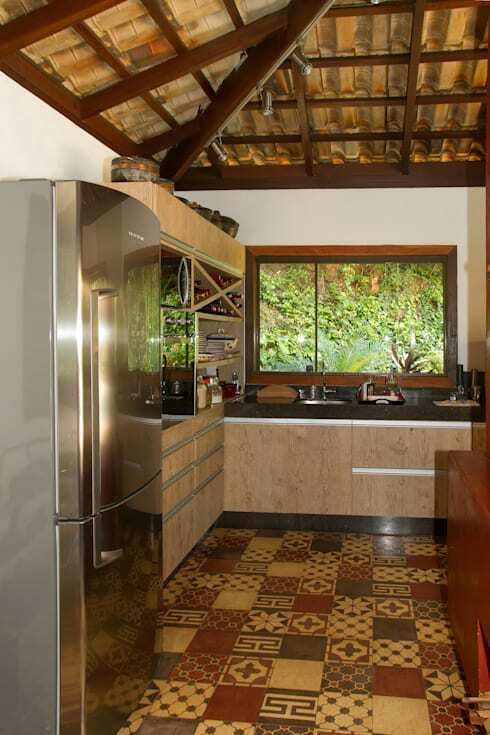 The main feature of this kitchen are the natural materials, which introduce a strong country-style design. The small details such as the plants, flowers and plates on the wall add that final touch. 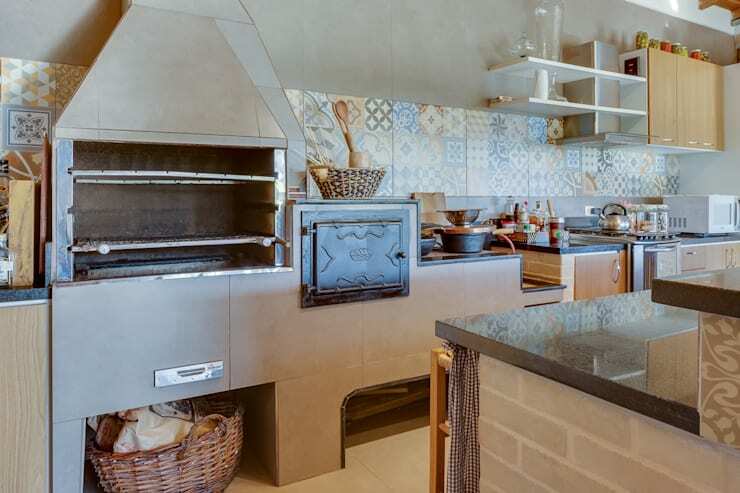 If you are someone who spent a lot of time during your childhood in the country, you'll know that one of the key features in a rustic kitchen is the wood-fired oven. Add cement or stone to the design of your oven and you'll have a durable and stylish functional element! Stone is one of the most traditional elements in a country house and, by extension, in rustic kitchens. Take advantage of its presence and combine it with wood to create a cozy and traditional space. Wood is a common feature in rustic kitchens so don't be afraid to integrate this material into walls, beams, floors or furniture. If you aren't sure how to implement wood into your kitchen, chat to a professional about tips and tricks. 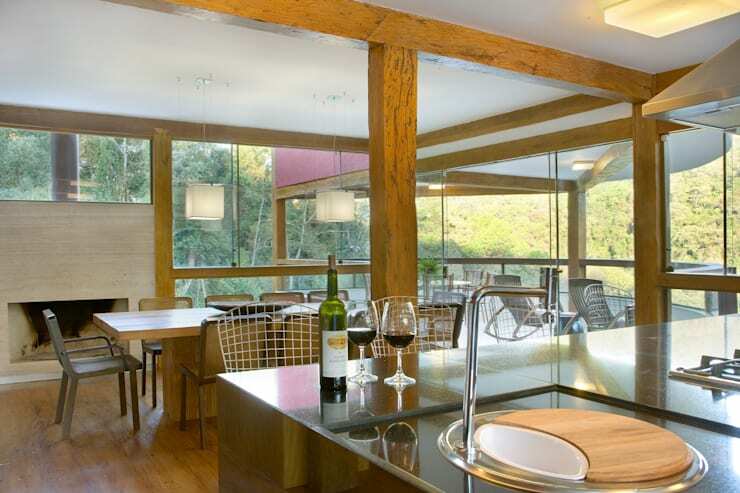 Also have a look at how to integrate wooden elements into your home. This combination of styles is an option that you can explore if you are looking to give your kitchen a rustic feel with some modern touches. 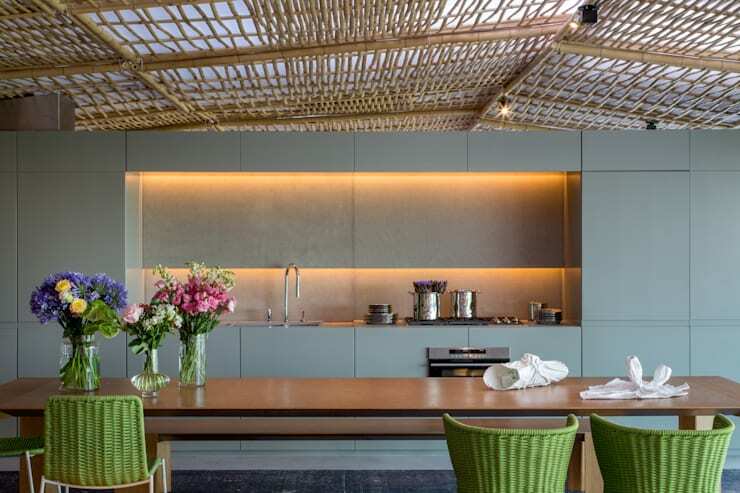 Modern furniture has been chosen rather than country-style furniture in this space, which contrasts beautifully with the bamboo-cut organic roof. Natural light is fundamental to any rustic kitchen, creating a warm and cozy environment. Its presence makes a room seem that much bigger and more comfortable. 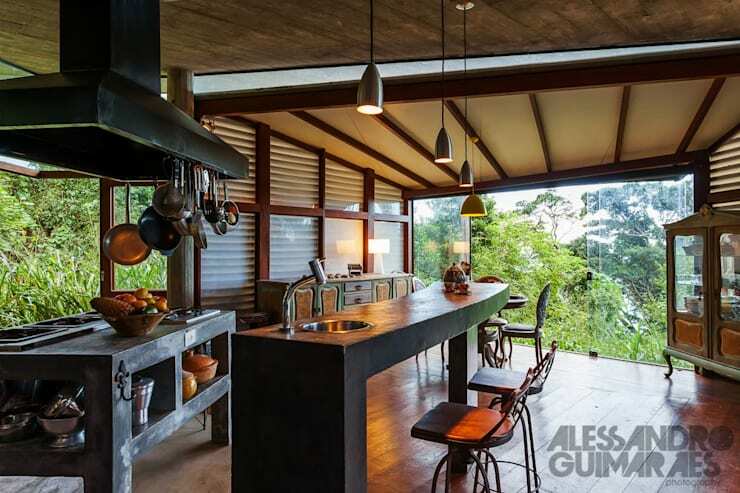 This is not the first time that we have mentioned how important it is to have wood in a rustic kitchen. As we can see in this design, wood can be the perfect material to complement more modern features such as the glass walls and sophisticated furniture. The combination of both elements creates a contemporary space that adds warmth to the rustic-style kitchen, giving it it's own personality. 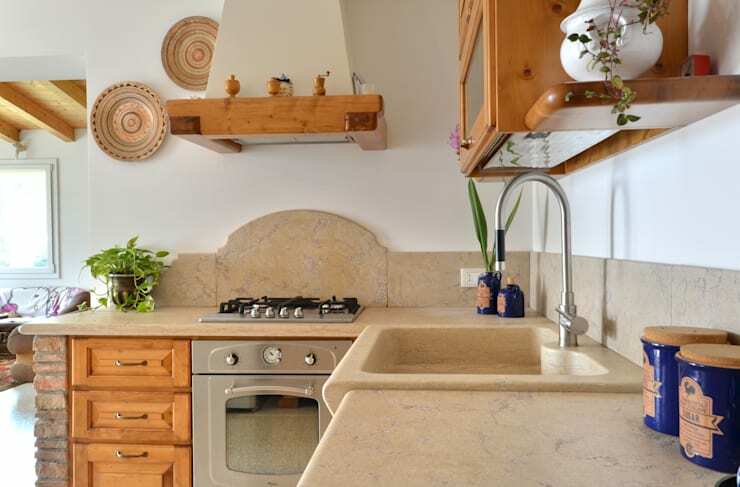 Every detail counts when it comes to creating the ideal rustic kitchen. Tiles like these, for example, introduce patterns and tones that are very unique. The brown tones are earthy and appealing. By employing these tiles on the floor, a rustic design is achieved from head to toe. 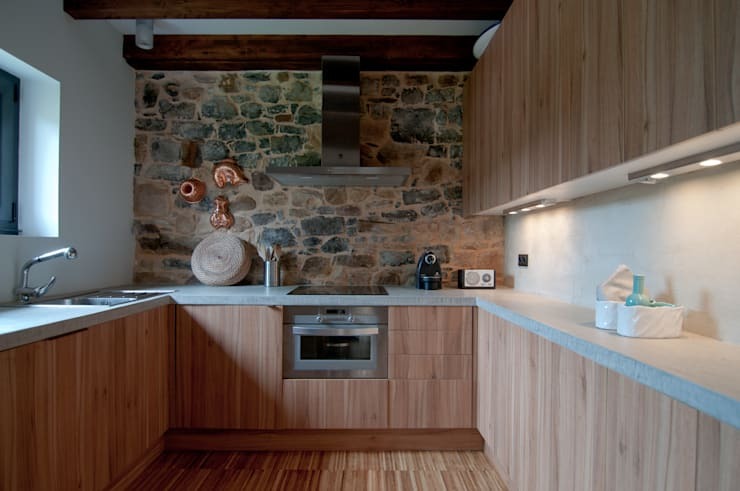 The naturalness that many rustic kitchens feature is often the consequence of wood. With simple sanding and some varnish, you can create a very natural environment that is cozy, fresh and lively. 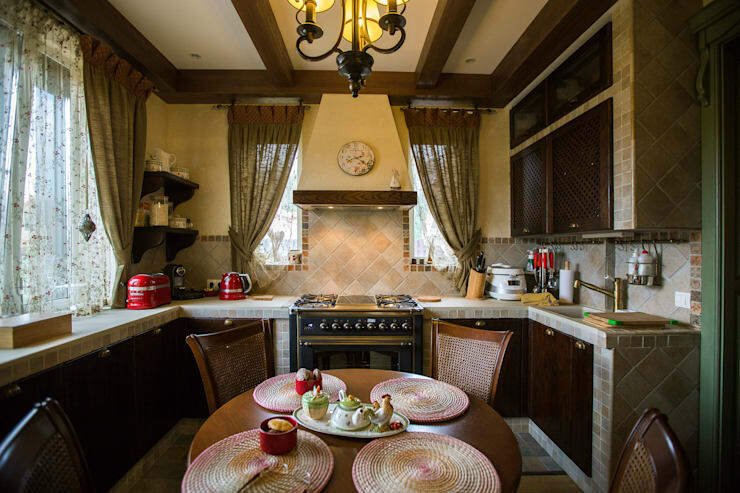 If you already have all of the characteristics of a rustic kitchen, why not add a romantic touch? Lace curtains, for example, can be the perfect addition to give your rustic kitchen a shabby chic touch. Whatever your choice, remember that your kitchen is a space where you can really explore your creativity. Don't be afraid to let your imagination shine. 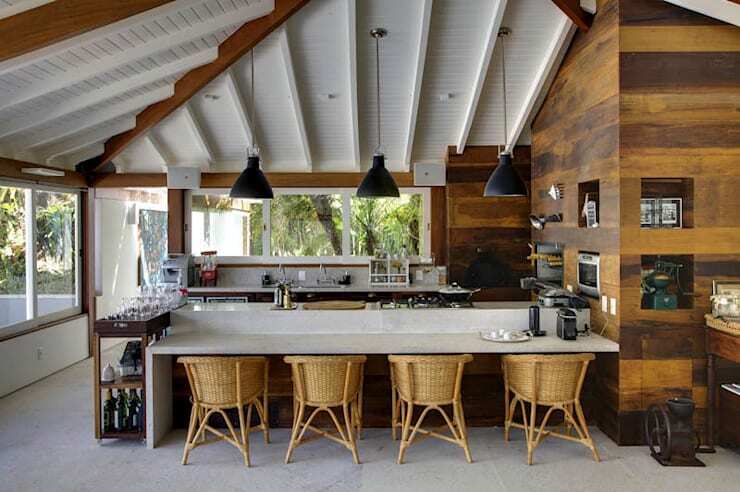 Also have a look at this article: Beautiful kitchens: 7 ideas to decorate the walls. Which rustic kitchen would you choose?